There was at least one explosion at the end of an Ariana Grande concert in Manchester, England. There have been multiple deaths and injuries reported. Police in Manchester have responded to a “serious incident” at the city’s arena, amid unconfirmed reports online of an explosion. 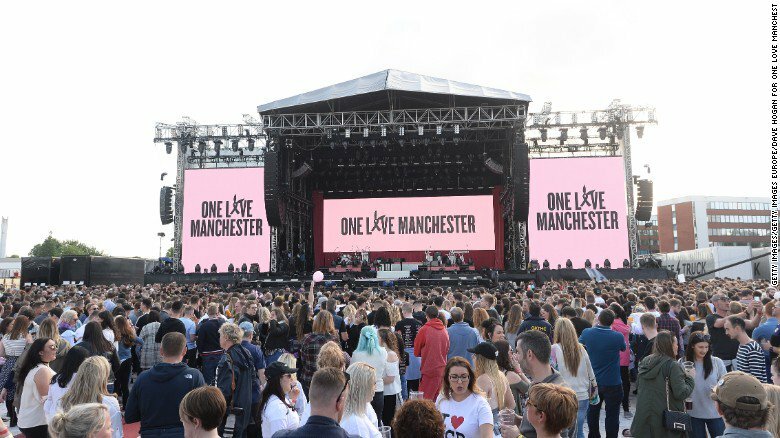 Greater Manchester police warned people to stay away from Manchester Arena while they dealt with the issue. Officers did not release any further details on what has happened. A concert by Ariana Grande was being staged at the time. Officers from GMP and emergency services are working at the scene and are supporting those affected. We are coordinating the response from GMP headquarters. An emergency number is available for those who are concerned about loved ones or anyone who may have been in the area. It is 0161 856 9400. This is clearly a concerning time for people but we are doing all we can, working with local and national agencies to support those affected and gather information about what has happened tonight. As you will understand, we are still receiving information and updates, so will provide more details when we have a clearer picture.